CBD Crack is a superchill euphoric hazer and medical marvel, rapidly becoming our anytime favorite. Perfect for wake & bakes, this autoflower strain guarantees a mellow, positive and focused high. CBD Crack is FastBuds' latest medicinal wonderbreed, delivering up to 7% CBD index. These distinguished, colorful plants autoflower beautifully in pine tree style. Lovely purpling and abundant frost adorn quality buds from top to bottom, with harvests of up to 250g per plant within 75 days of seeding. Taste & aroma: Its distinctive flavor combines rustic and pungent tones with hints of citrus and cinnamon. The high effect: A perfectly balanced mix of THC and CBD, this bud induces a delightfully soothing, uplifting, low-anxiety effect which allows brain and body to function, while instantly easing symptoms and struggles. How it grows: CBD Crack boasts vigorous early growth, with full blooming around week 5-6, good frosting with a nice scent by week 8, and harvesting in week 10 or 11. Ponytail her to get the side branches out & up and form some nice colas. Try 500ml of feed every other day, from day 14-17 up to week 4, and increasing as required thereafter. 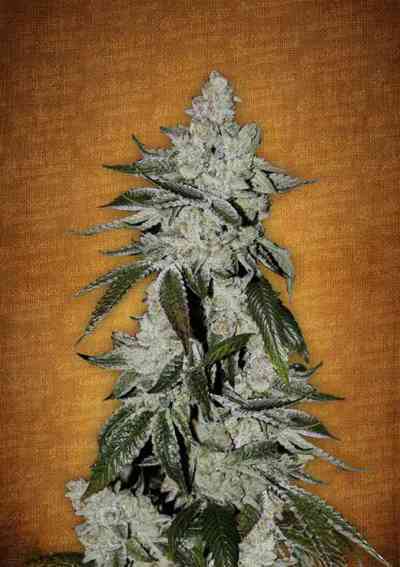 70cm is a good height to reach, resulting in around 120 grams of bud weight. We recommend a bit of Low Stress Training to improve light penetration, and experimentation with light defoliation.